Home / SkinCare / REN Bio Retinoid Anti-Wrinkle Concentrate Oil. 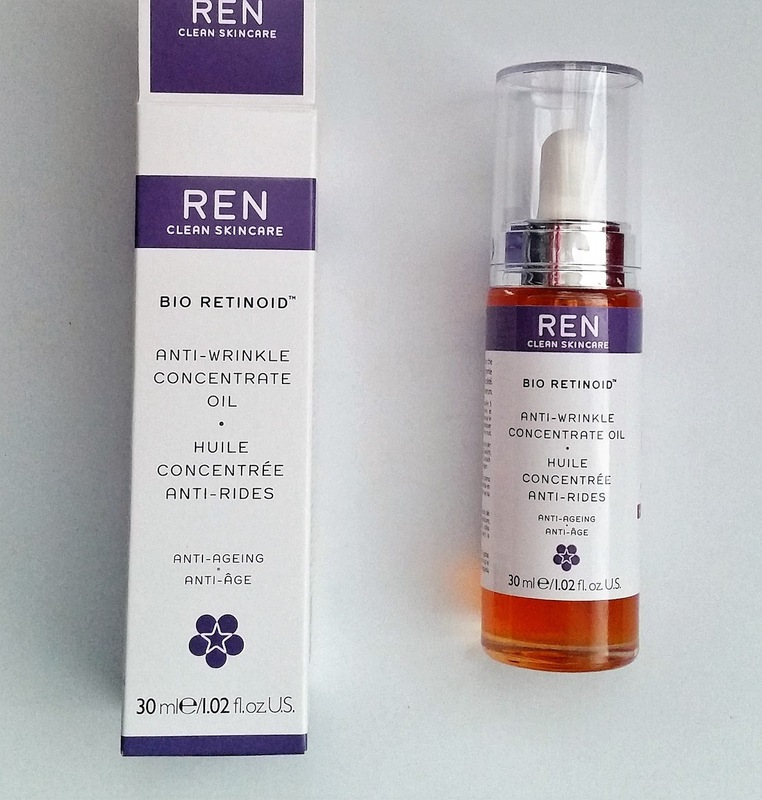 REN Bio Retinoid Anti-Wrinkle Concentrate Oil. The REN Bio Retinoid Anti-Wrinkle Concentrate Oil treats more advanced signs of ageing such as pigmentation, deeper lines, and lack of firmness. Delivering a retinol result without using retinol, retinol is important to use to create and trigger collagen, but unfortunately some sensitive skin types react so badly they are left without a retinol product to use. The REN Bio Retinoid Anti-Wrinkle Concentrate Oil uses three natural forms of retinoic acid to deliver the same results as a retinol, but without the side effects that can occur for sensitive skin. Proven results have shown a 24% rise in collagen after 28 days of using the REN Bio Retinoid. Collagen is the essential structure in the skin that decreases from your 30's and onwards and this why u see signs of ageing, looking for products to stimulate collagen are great tools to use in your skincare regime. Rosa Rubiginosa Seed Oil, Glycine Soja (Soybean) Oil, Gossypium Harbaceum (Cotton) Seed Oil, Bidens Pilosa Extract, Hippophae Rhamnoides Fruit Extract, Parfum (Fragrance), Linum Usitatissimum (Linseed) Seed Oil, Tocopherol, Linalool. *100% Natural Fragrance Parfum 100% Naturel. 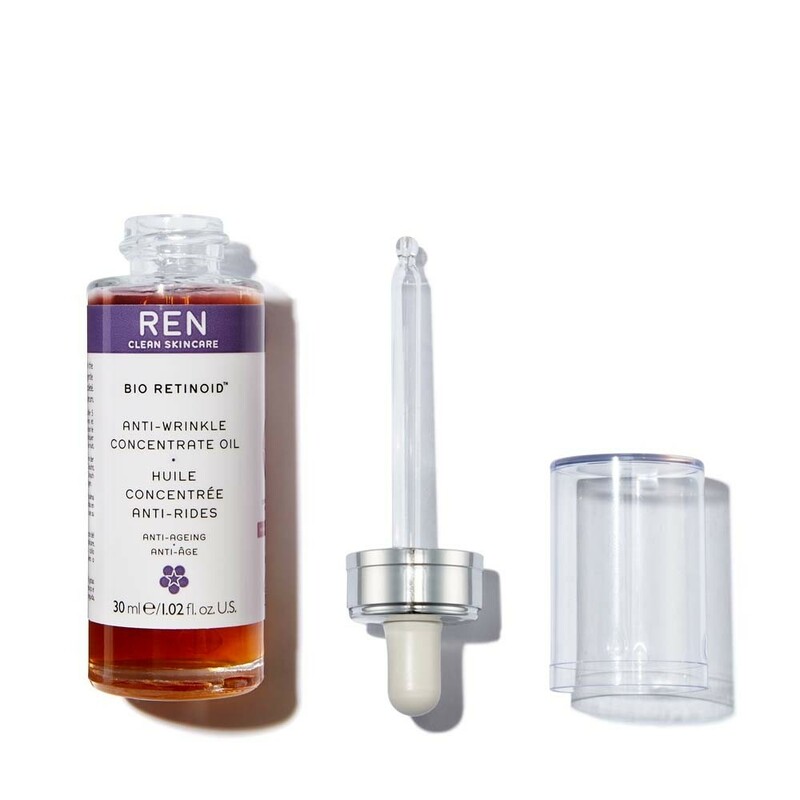 The REN Bio Retinoid Anti-Wrinkle Concentrate is an oil, using 4-5 drops and warming the oil up in your hands helps it spread and absorb on application on cleansed skin at night. The colour is a deep orange and you only need a little to use, otherwise your skin will look and feel overly greasy. The REN Bio Retinoid is also great for pigmentation and can dramatically reduce it by 40% by telling the cells that release the brown pigment to slow down, you can apply to your chest if u have pigmentation present in that area. I apply one drop to the forehead, one drop on each side of the face and one drop on the chin, leaving you another drop to apply to your chest. You can also apply the oil to the back of your hands if you have age spots present for an overnight repair without any irritation. Applying your favourite moisturiser or serum after application completes an easy-to-follow skincare regime at night to achieve firmer, plumper skin with a healthier complexion each time its used. 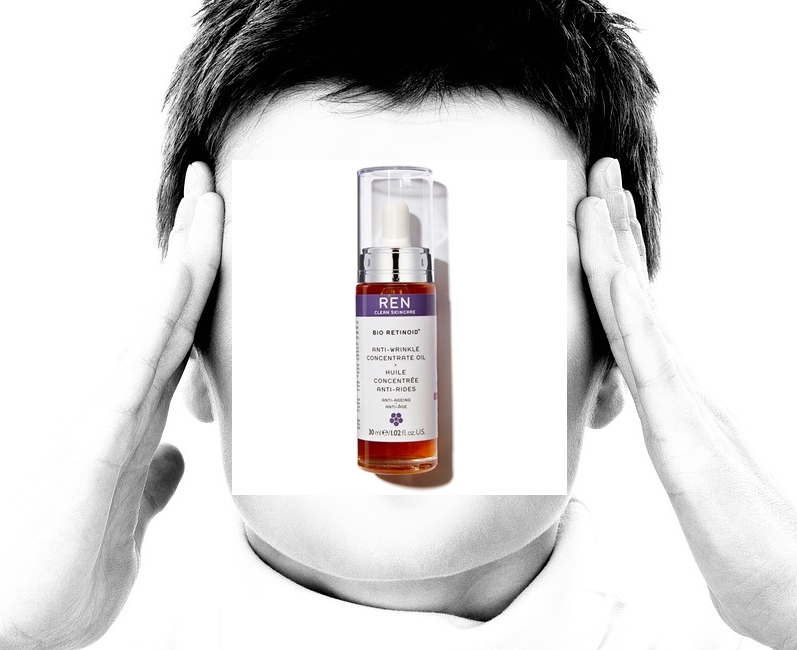 Purchase the REN Bio Retinoid Anti-Wrinkle Concentrate Oil from ManOrganic to see the results for yourself. X Neil.